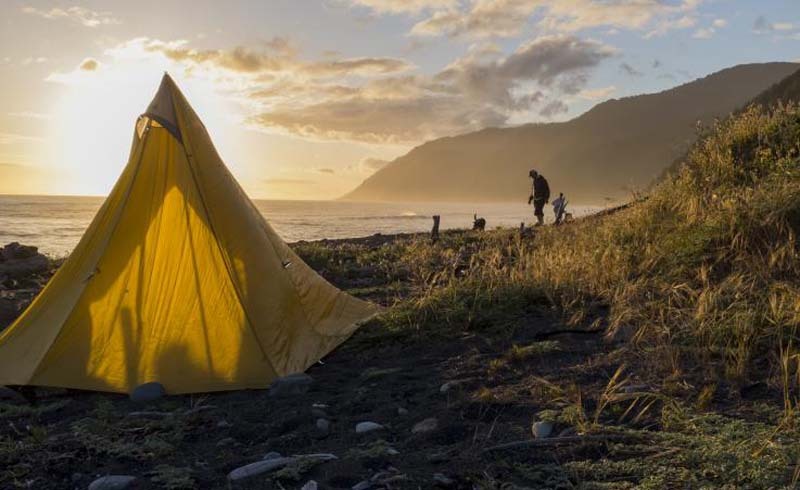 These are the ultimate destinations to find peace, quiet, and inspiration. This is an excerpt from "The Bucket List: Places to Find Peace and Quiet." For most people, finding those necessary moments of quiet in an increasingly busy world is a struggle. The unwelcome cacophony of sound—from the invasive ringing of cell phones to the never-ending thrum of traffic—accumulates around us, polluting our peace and disturbing any opportunity to truly switch off. In 2011, The World Health Organization (WHO) recognized that excessive noise can seriously harm human health, causing physical and psychological effects ranging from stress, poor concentration, loss of productivity, heart disease, and cognitive impairment, as well as delayed reading and comprehension in children. The report found that while other forms of pollution are decreasing, noise pollution is increasing. Is it a surprise then, that more people are craving an escape to find peace and quiet? Travel is the solution for many people seeking calm from the frantic world around them—it can balance the mind and soothe the soul. We all have different environments that lift our spirits: for some, it might be climbing mountains to deeply inhale fresh air; for others, the rolling hills of the countryside bring pleasure to the soul. Great swathes of wilderness cover the globe, offering places to rediscover isolation and silence, and learn about your own strength and resolve. The raw beauty of wild landscapes and the wide-open blanket of stars above remind you to embrace your time on this planet. 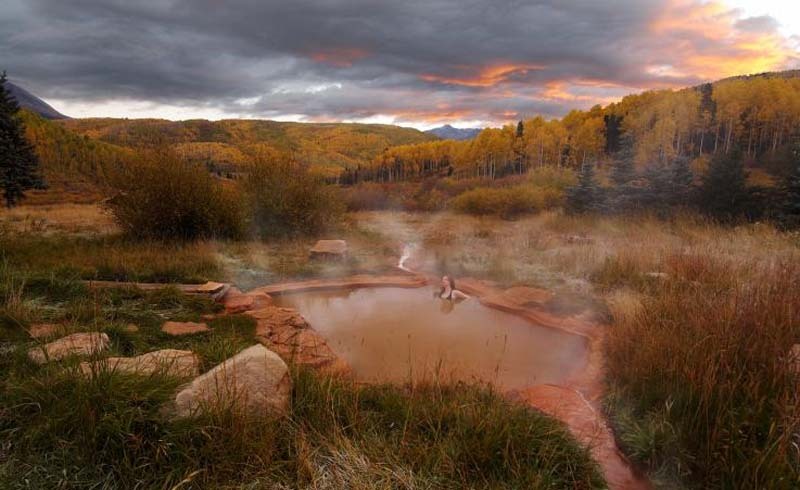 "A two-hour scenic trip through the mountains from Telluride airport brings you deep in the Colorado Rockies. This former ghost town has been restored and converted into a romantic getaway. The exquisitely furnished log cabins sit in a valley with a river flowing through it. Stay in the Well House, or Bjoerkmans for a view of the waterfall." 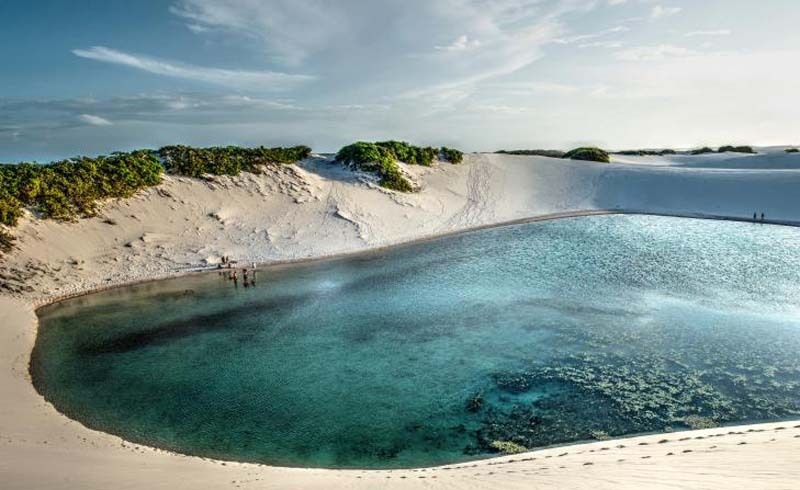 Named d for the Portuguese word for “bedsheets”— lençóis—this national park of tall, white sand dunes just outside the Amazon basin, stretches for 43 mi (70 km) along the coast and 31 mi (50 km) inland. Between January and June, rainstorms usher in thousands of crystal-clear lagoons, which reach their peak in July. Stay in the village of Atins, a clutch of laid-back beach bars, restaurant shacks, warm waters, and swaying palm trees, all tickled by the sea breeze. Neversink Pit, Jackson County, Alabama. Experienced climbers have the advantage of being able to descend the staggering sixteen-story drop from the leafy surface to the stark bottom of this geological marvel in Jackson County, Alabama. Lush ferns drip down the ledges at the entrance in spring, and ribbony waterfalls accompany you on the way down as you pass rare flora clinging to the limestone shelves. These are sensitive and endangered ecosystems that people are prohibited to touch. On a summer’s night, the bioluminescent fungi Armillaria mellea decorate the depths and are easily mistaken for the enchanting luminosity of glowworms. The limestone sinkhole of Neversink Pit is 40 ft (23 m) wide at the top, opening out to a cave floor that spans more than double that area. If you descend, take a moment at the bottom to enjoy the feeling of being in the very bowels of the earth. At 162 ft (49 m) above you, the sky seems a long way away. Venturing this deep underground, you feel like an explorer discovering something that few humans have seen before. Your only company down here is a colony of bats. 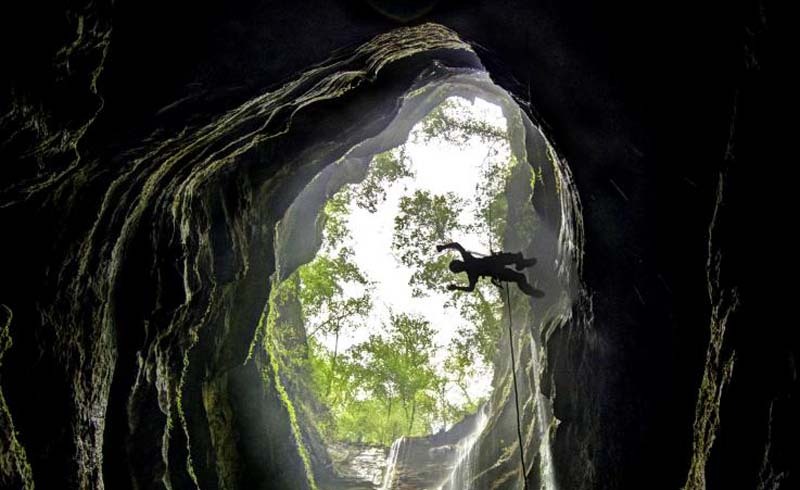 The Southeastern Cave Conservancy bought the sinkhole in the 1990s to preserve it for future generations. The group maintains the pit and has established two permanent rig areas at the mouth of the site, to discourage the use of trees to rig climbing ropes. While rappelling to the cave floor is the most incredible way of experiencing Neversink Pit, even for those without the climbing permit, it is still a unique place to visit. From the pit hole, shafts of daylight illuminate the drop, and you can see all the way to the bottom. The region is well known for its scenic beauty and outdoor recreation, but many may not be aware of the hidden natural world that lies beneath the surface. The dissolving of layers of porous limestone belowground has been fundamental in the formation of the landscape in northern Alabama. Areas are marked by sinking streams, subterranean drainage, large springs, caves, and sinkholes like Neversink Pit. Along with adjacent states suffering the same issues, the area has become the caving capital of the country, with Jackson County having the most in the state. Neversink Pit is accessible via a fairly strenuous thirty-minute hike from a small parking area on an unnamed road. Northern California’s “Lost Coast” is a 100-mi (161-km) stretch of sun-soaked coastline bypassed by the Pacific Coast Highway. There are few roads here, but plenty of trails to explore on foot with a backpack. Walk on wild beaches, spend the night in abandoned settlers’ cabins, or hike out to the forgotten Punta Gorda Lighthouse. 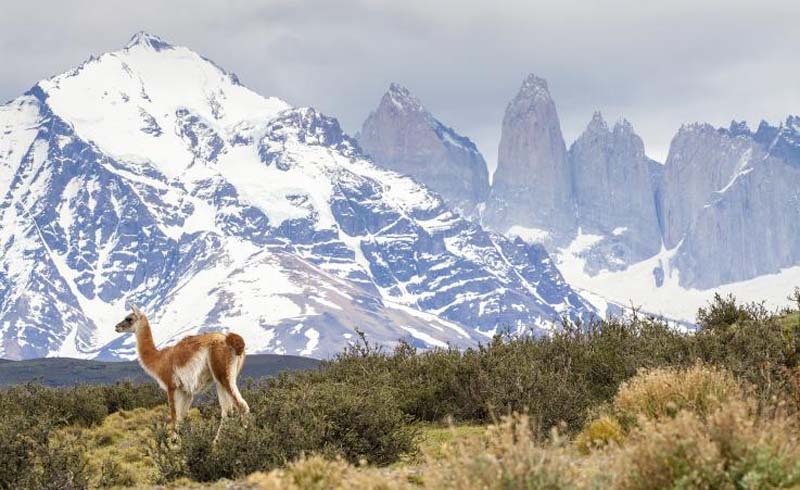 Avoid the crowds that flock to this jewel in southern Chile’s crown by taking the longer O trail over three to six days, rather than the shorter, more accessible W trail. You will never forget the moment when you first set eyes on the awe-inspiring mass of the Southern Patagonian Ice Field. The swing at the end of the world. 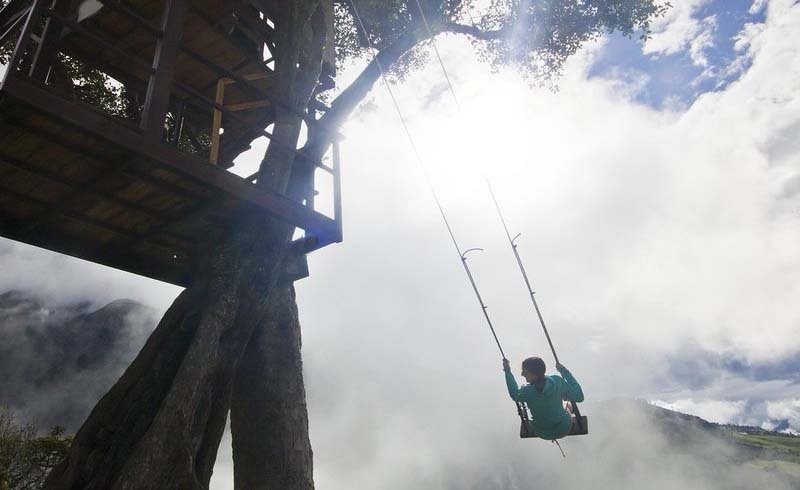 Deep in the Ecuadorian wilderness, a long, lone swing hangs from a tree high over the steep sides of a canyon. This is the Swing at the End of the World at the Casa del Arbol volcano monitoring station. 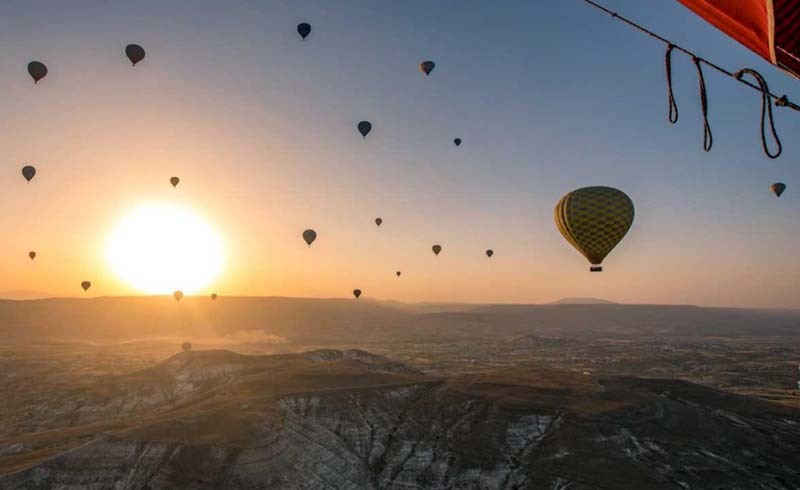 It will suit those seeking that exhilarating feeling of freedom, as they literally fly out over the expansive landscape below.